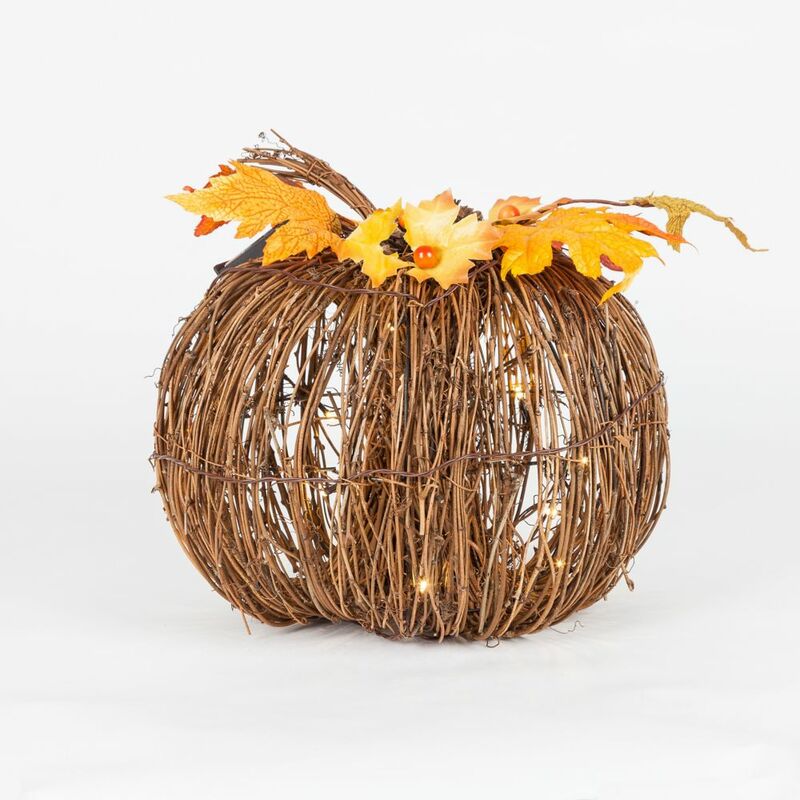 Decorate your home with this beautiful Harvest Twig Pumpkin. It measures 14 inch and is adorned with realistic harvest leaves, berries, pinecones, and LED Lights. Battery operated and requires 3 AA batteries, not included. 14-inch LED-Lit Twig Pumpkin Halloween or Harvest Decoration Decorate your home with this beautiful Harvest Twig Pumpkin. It measures 14 inch and is adorned with realistic harvest leaves, berries, pinecones, and LED Lights. Battery operated and requires 3 AA batteries, not included.